Black tea fights free radicals, rooibos clears up acne, and the caffeine in mate helps minimize puffiness. Plus, you don't even have to drink these tinctures to get all the good-skin effects. You probably already know that green tea can give you brighter, tighter skin (the natural antioxidants do wonders for your complexion), but did you know that most herbal teas have similar beauty advantages? Black tea fights free radicals, rooibos clears up acne, and the caffeine in mate helps minimize puffiness. Plus, you don't even have to drink these tinctures to get all the good-skin effects. You can slather them all over your face or take a soak in the leaves instead. Keep reading to shop our favorite tea-infused beauty buys. Then, we challenge you to swap your coffee for a skin-clearing tea tomorrow morning. 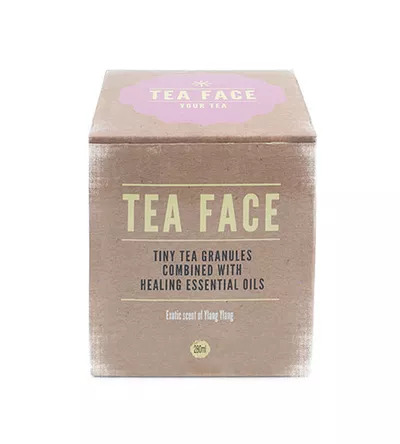 You could DIY your own tea-infused face scrub, but Tea Face ($25) is the perfect solution without the mess in your bathroom sink. The tea leaves are soaked in coconut oil and ylang ylang to create an all-natural exfoliant. 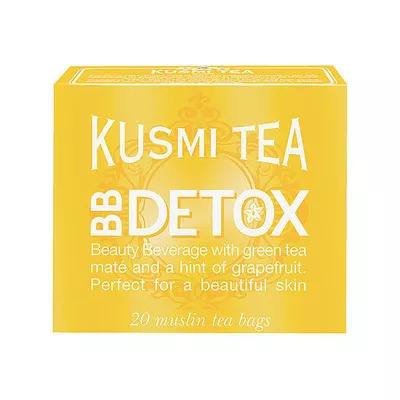 Kusmi Tea BB Detox ($16) is your Monday morning must have after a weekend of partying and imbibing. The blend is a mix of mate and green tea with the flavor of grapefruit. This concoction is packed with antioxidants like vitamins A and C, making your Saturday night antics a distant memory. Here's a toast to brighter skin! Remember the oatmeal baths you had to take when you had chicken pox? 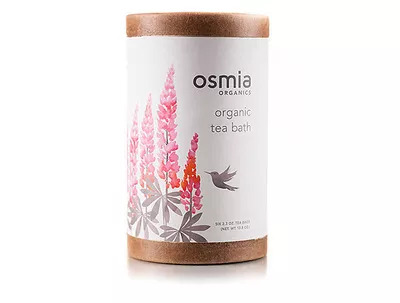 Well, the Osmia Organics Tea Bath ($45) is the grown-up version of that. The mix contains epsom salt, chamomile, spearmint, and oats to soften rough patches. It's perfect for women suffering from eczema and psoriasis. In addition to the antioxidant benefits, tea can also have astringent and antibacterial properties. 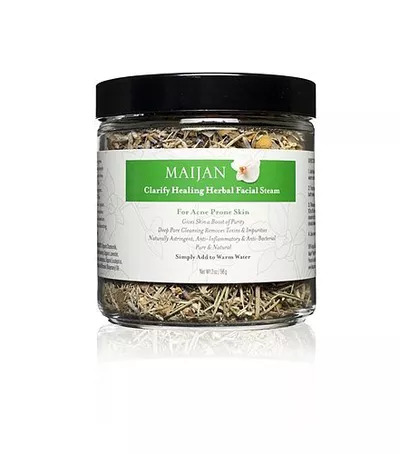 The Maijan Clarify Healing Herbal Facial Steam ($13) has chamomile, rosemary, lemongrass, and eucalyptus to detox oily skin. Just pour the leaves in a bowl of hot water, and let the steam flow over your face under a towel. 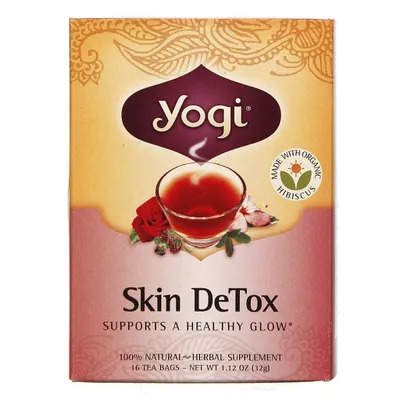 Yes, the Yogi Skin Detox Tea ($5) is great to drink for the green tea's antioxidant benefits, but you can also use the tea bags to help with puffiness. The caffeine in this drink can be used to tighten up the blood vessels under the eyes. Just steep them in cool water and place over the area cucumber-style. 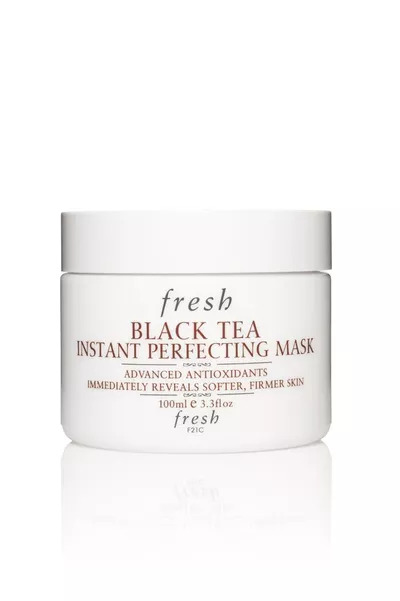 Fresh Black Tea Instant Perfecting Mask's ($92) primary active ingredient is fermented black tea or kombucha. When you drink kombucha, you get a burst of antioxidants and probiotics. In skin care form, the dark tea helps defend skin against free radicals and smooth out wrinkles. Rooibos tea is naturally caffeine free and full of antioxidants. 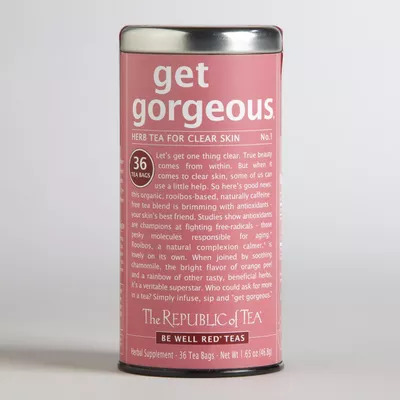 But the Get Gorgeous ($11) tea is known for its breakout-busting qualities. In addition to rooibos, there is burdock root that offers anti-inflammatory properties. Redness and pimples start to disappear with a daily cup of this drink. 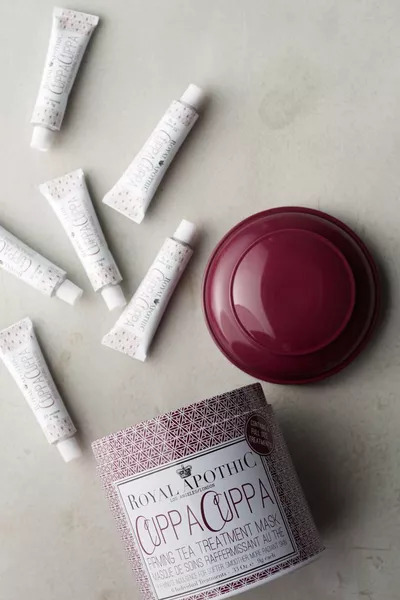 The Royal Apothic Cuppa Cuppa Tea Treatment Firming Mask ($58) is a mix of black, green, and white teas, which means the antioxidant factor is off the charts. Plus, coffee seeds provide skin-firming benefits through caffeine. There's also kaolin clay to pull out impurities. It'll leave you with more radiant skin, fewer pimples, and a tighter complexion. Have You Ever Wondered How Lipsticks Are Made?